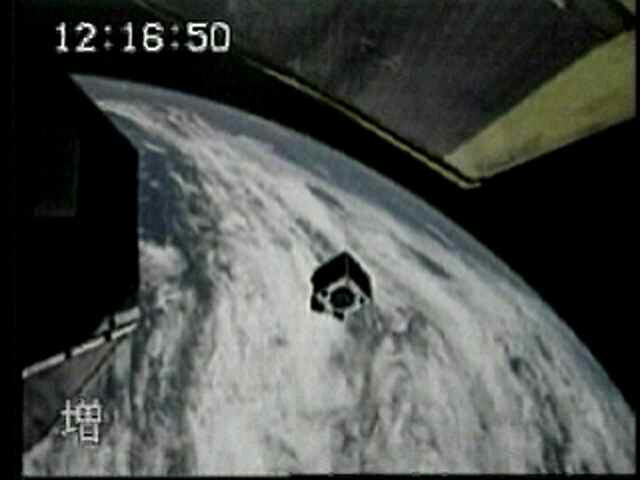 The Cooperative Research Centre for Satellite Systems (CRCSS) launched Australia's first satellite for thirty years on 14 December, 2002 from the Tanegashima Space Centre, Japan. The name of the satellite reflects the centenary of Federation: FEDSAT-1. FEDSAT-1 is a low Earth orbiting satellite (~800 km altitude), in a polar orbit and carries space scientific packages, communications systems and on-board computing systems. The University of Newcastle Centre for Space Physics has a magnetometer experiment (NEWMAG) onboard that measures the Earth's main magnetic field and its variations. NEWMAG measures the main geomagnetic field vector and the three components of the AC magnetic field in the Ultra Low Frequency (ULF) range, from 0.1 Hz to 50 Hz. The aim is to observe naturally occurring electromagnetic wave signatures and field-aligned currents in the ionospheric F-region and the exosphere. These include ULF waves propagating in the F2 region ionospheric waveguide, and turbulence and other signatures associated with field aligned currents at auroral latitudes and the equatorial electrojet. All these data will contribute to University basic research, global space weather studies and international solar terrestrial physics programs. Measurements of the geomagnetic field over Australia will contribute to mapping the geomagnetic reference field. NEWMAG is based on a space proven design from the University of California, Los Angeles (UCLA) which has been flown on the FAST mission. It comprises a three axis orthogonal fluxgate magnetometer and associated electronics. The magnetometer sensors have a dynamic field measuring range of 65536nT with a resolution of 8nT. Determining the relationships between the data from these clocks has been a major task. The 'timing task-force' were Tania Ritchie, Matthew Clifton-Smith, Andrew Bish and Colin Waters. The OBET suffers software and hardware resets. Furthermore, there are time delays for data packet formation and OBET time stamping in the Data Handling System (DHS). 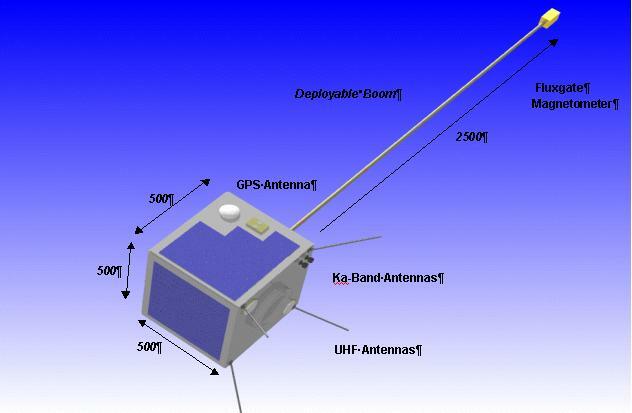 The first stage in obtaining accurate time data is to sort out the relationship between the GPS and OBET. We assume that the GPS data is accurate. NewMag data may be accessed from the World Data Centre at the IPS Web site. Please ensure that you read and obey the Rules for Using NewMag Data available on this site.